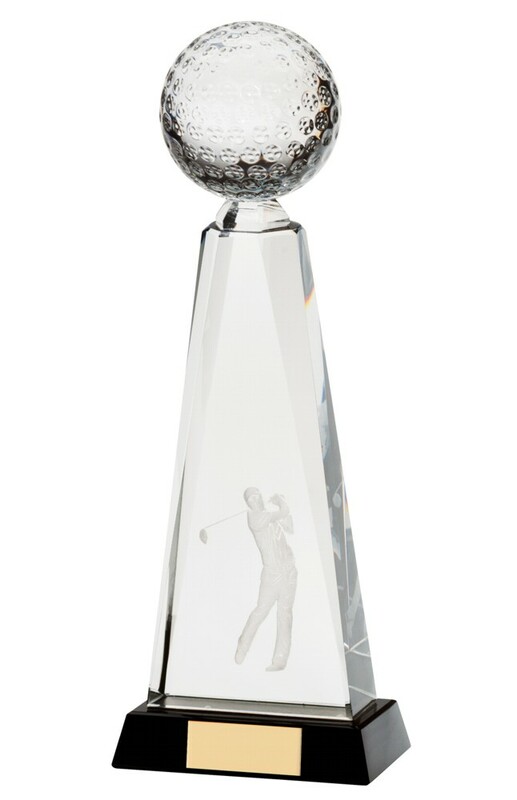 3D Golf Ball Optical Crystal Trophies. Available in 3 sizes, 190mm, 220mm and 250mm high. 3D male golfer lasered inside an optical crystal tower block with a solid 3D golf ball on the top, mounted onto a black base. A great executive heavy weighted golf award. Complete with a free engraved plate on the base and in a presentation box.